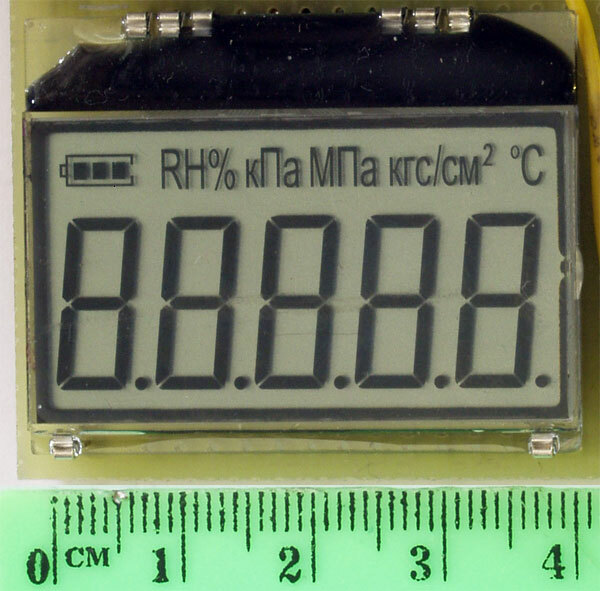 LCD displays from Ampire in TIC series are already contain controller-on-glass (COG technology). In this case, ML1001 was using, which is simple shift register with load, so display data can be refreshed very fast. 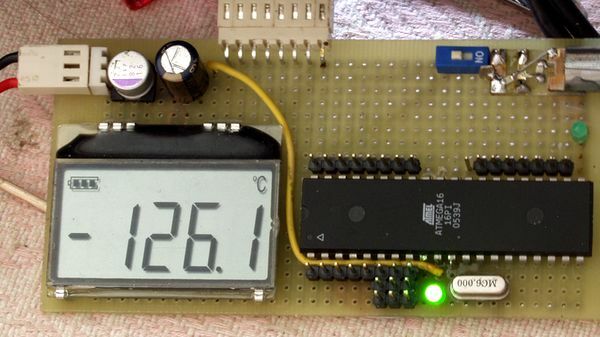 Tested display sample was able to operate with 1.2 MHz clock, with +5V supply and +25°С ambient. All 49 segments were used to refresh. First bit is shifted, which controls segment 49 (dot in 4th digit). Next clock transfers bit for segment 48, and so on till all bits sent. After this register need locking, by deasserting LOAD. Immediately sent bit stream data will be displayed on screen. Logic “1” HIGH corresponds to lit segment, Logic “0” LOW for off segment. 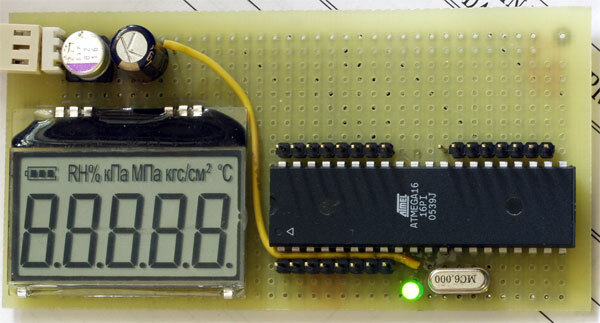 Function check was performed on breadboard using simple microcontroller ATMEL AVR ATmega16-16PI. Published: Jan. 5, 2009, 12:32 a.m. Modified: July 25, 2015, 1:50 a.m.